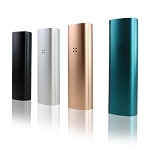 The Yocan Explore is a cutting-edge vaporizer made for use with both dried blendal blends and waxy essential oils that features an extremely compact and pocket-friendly size for stealthy use on the go. 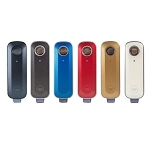 This vaporizer measures in at about 3.85" tall by just under 2 inches wide, leaving you with the ultimate travel device as it is big enough to handle a sufficient amount of material while remaining small enough to comfortably fit in a pants or jacket pocket for discreet travel. Unlike many other portable vaporizers, Yocan's Explore 2 in 1 Device comes equipped with precise digital temperature controls that offers full control over your vape experience. You have the option of regulating the Explore's chamber to heat anywhere from 200-460ï¾°F, in precise 1 degree increments in order to hone in on the exact temperature for the results you are looking for. Whether you are looking to remain discreet with a thin vapor at lower temperatures or you want to maximize your overall vapor output with higher temps, the Explore Vaporizer from Yocan allows you to do just that. After you have found the absolute perfect temperature for the results you are looking to achieve, Yocan's Explore vaporizer will remember that temp setting and automatically adjust to that level the next time a session is started, allowing for a truly convenient set it and forget it vaping experience. While out and about you simply do not have the time to test out different temperatures, with Yocan's Explore you can siimply power on your device, wait for it to heat up and your good to go in just a matter of seconds. This device comes stocked with interchangeable mouthpiece system's that are each designed for use with a different type of material. For dried blends, an innovative mouthpiece with built-in stir tool allows you to mix the Explore's contents to rotate your dried blends and ensure that every last bit gets evenly heated, resulting in a thick and delicious quality of vapor. For waxy essential oils, a concentrate coil and mouthpiece combo replaces the stir tool with a cutting-edge coil that will loosen your medium to thick oils just enough to evenly spread them throughout the ceramic chamber, this delivers an efficient vape process that will quickly heat through massive slabs in just a matter of seconds. 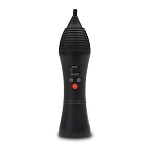 This cutting-edge 2 in 1 vaporizer is powered by a long-lasting embedded 18650 lithium-ion battery that utilizes a convenient micro-usb charging method. This battery features a massive 2600mAh capacity for all day use and it can continue heating while it recharges for those who simply cannot wait to vape. Yocan's Explore Vaporizer also comes equipped with a crisp LCD display screen that helps to take all of the guess work out of your vape game. At any moment you can glance down and quickly see your remaining battery life, current temperature, desired temperature and even a countdown timer that lets you know when the device is going to power off to prevent over heating. Invest in the Yocan Explore 2 in 1 Vaporizer today and enjoy bringing your favorite blendal blends/concentrates with you on the go no matter where it may be.